Cut onions in half lengthwise, leaving root intact. Remove peel. Lightly coat with olive oil and place on hot grill. 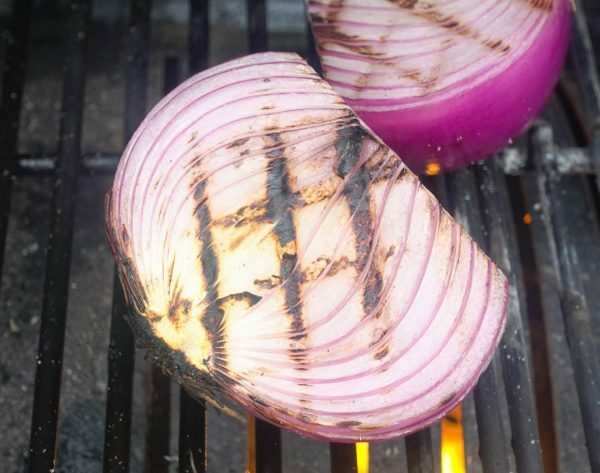 Also to cook for 2-3 minutes until grill marked. Remove from grill and allow to cool. In a medium saucepan over a hot zone on the grill (or use the stove top) add vinegar, garlic, black pepper, cayenne, sugar, salt and cumin. Bring to a boil and reduce to a simmer while whisking to ensure sugar is dissolved. 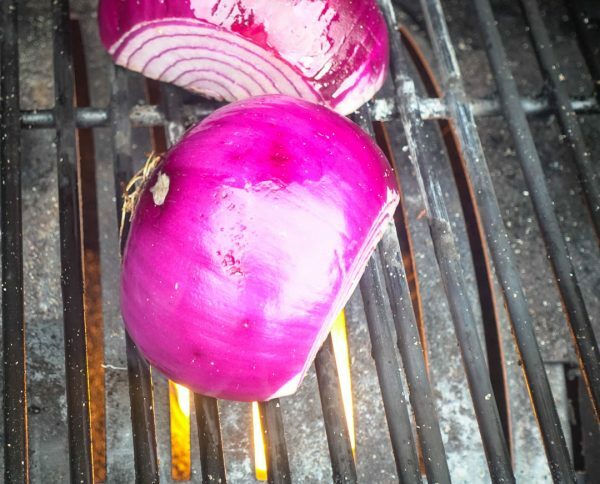 Slice red onion into very thin slices (julienne.) 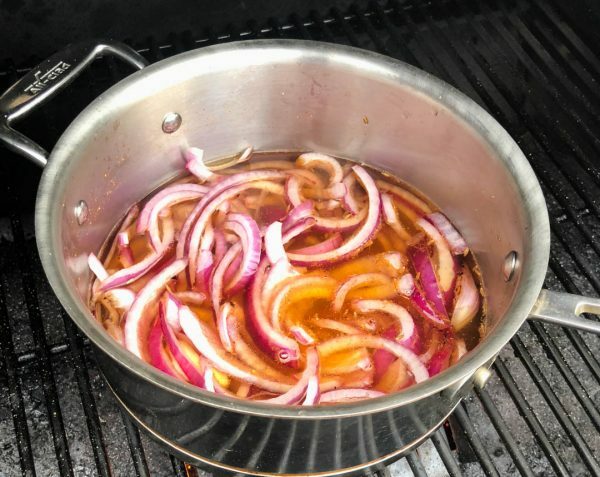 Add onion slices to vinegar mix and allow to simmer for 10-15 minutes, or until onions are tender. Remove from heat. 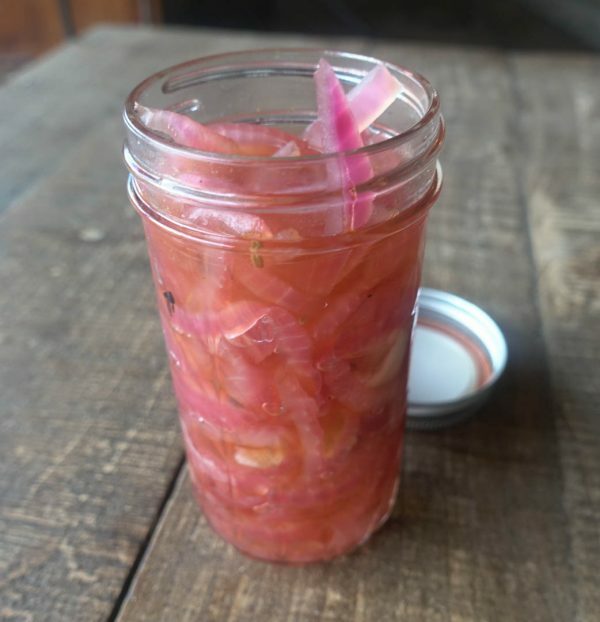 Using tongs, place onions in jars, then pour liquid over them. Store in fridge for up to 2 weeks.